A driver who managed to squeeze their tiny car into a small gap might have gotten a good parking space but they caused delays for other motorists. 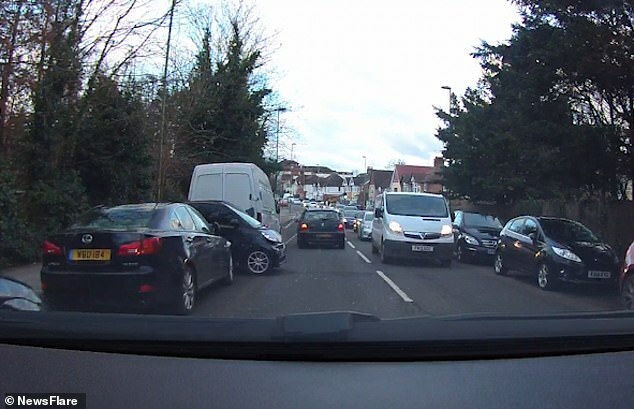 Dashcam footage of the little car shows it squeezed in between a black Lexus and a white van on Deansbrook Road in Edgware, London, last Thursday morning. However its bonnet is sticking out into the road, meaning other cars have to slow down and carefully go around so they do not hit it. 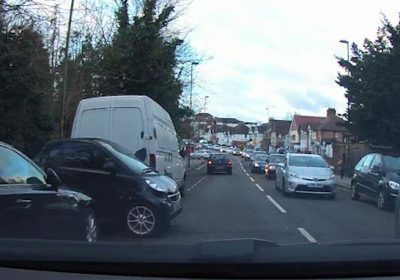 Video shows one driver approaching the unusual parking and exclaiming ‘I can’t believe this’ as they wait to get past. 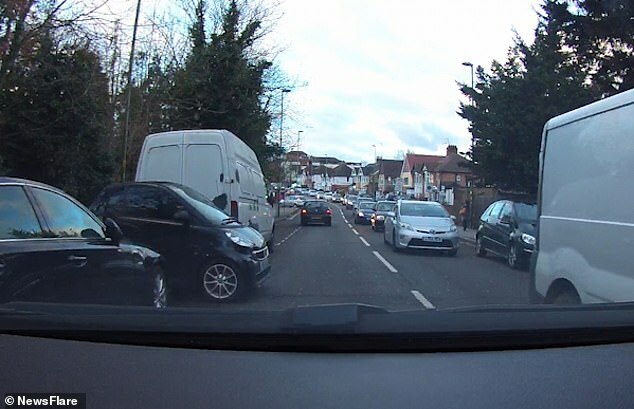 The motorist has to wait for five other cars in the opposite lane to drive past before they get a chance to move when a white Mini lets them through. Once they get a chance to pass, they have to swing well into the other lane to safely get by. In 2014 Smart car driver Vanessa Price won a year-long battle over a £50 parking ticket after she parked horizontally. 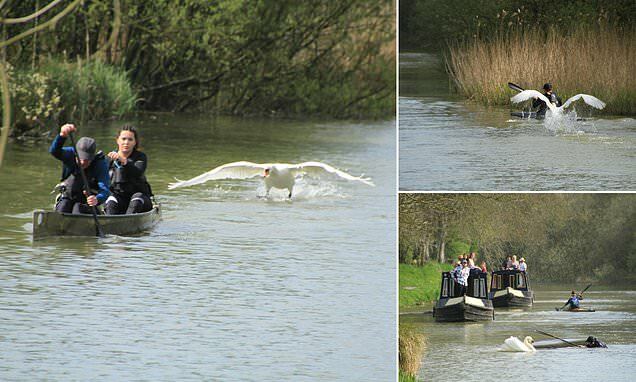 Mrs Price, from Stroud, Gloucestershire, said at the time she was ticketed: ‘I have parked like this in Stroud, London and Bristol and never had any trouble before.